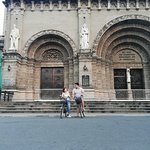 We start in the afternoon when its not too hot anymore.This 1 hour Express tour ride will bring you to the different key destinations in Intramuros. Start your day with a Bambike ride! This 1 hour Express tour ride will bring you to the different key destinations in Intramuros. The express Bambike tour is ideal for travelers short on time in Manila, or the Intramuros neighborhood. 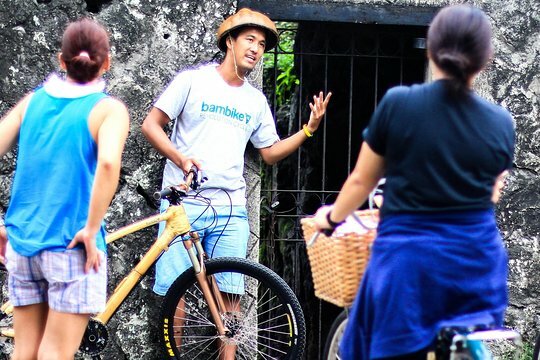 In just an hour you’ll get the chance to ride on a unique and eco-friendly Bambike, while visiting some of the most interesting sights in Manila. Your guide will tell you all about Manila’s culture and history. 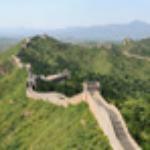 This is a fun tour for active travelers who don’t want to miss out on the highlights. Meet us at Bambike HQ located in Casa Manila Complex. It is a copy of an 1850 house, modeled after Spanish colonial architecture. Best to come at least 30 minutes before the tour as our Bambike guides will help you choose the perfect Bambike. There are a wide variety of Bambikes for different rider builds and each Bambike is unique! We will begin the briefing on how the Bambikes are made and the local community that it supports. We will then head out on Bambikes (bamboo bikes) through the major historical and cultural attractions within Intramuros! The sites we will visit includes the Fort Santiago, Plaza Roma, Puerta del Parian and many more. Our guides are very knowledgeable about Philippine history, cultures, stories, jokes! One of our Bambike ride highlights is an Intramuros wall ride! Filipino refreshments are available back at our HQ that will complement your educational workout. 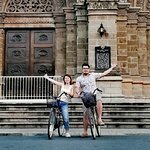 One of the best bicycle tour experience, guide has excellent knowledge on every site. Excellent for short 2 hour breakaway. Fun time, cool bikes, great cause, nice on a hot day! Get quick answers from Bambike Ecotours: Express Tour (Bamboo bicycle tours) staff and past visitors. I’m sorry i don’t know how commute from alabang but for convinience I suggest you book a grab they can drop you off straight to intramuros. I hope this will help.